Situated on a 50' x 100' lot, the organization is based on ventilation and privacy. 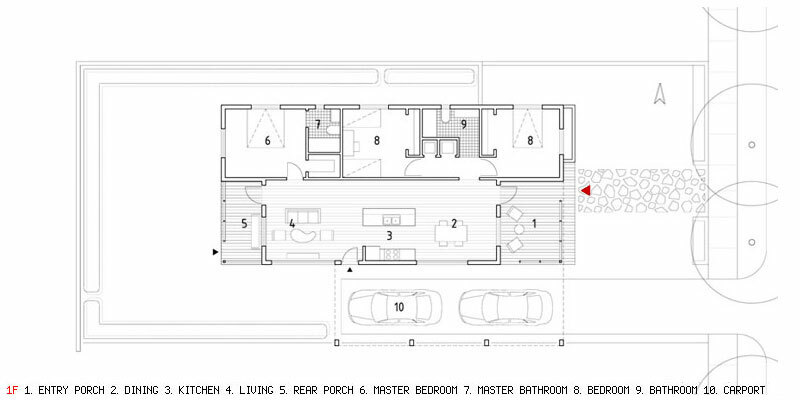 The plan consists of two strips of activities stretching the length of the house with the carport attached. The Florida Room is introduced as the first room experienced, returning to the concept of a transitional indoor/outdoor family room.